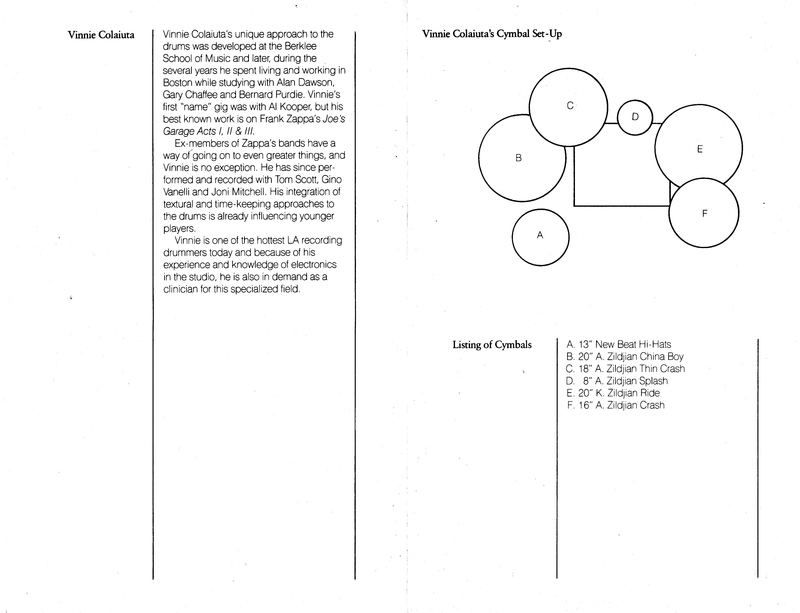 Vinnie Colaiuta Zildjian Cymbal Set-Up Handout 198? SKF NOTE: A Zildjian (clinic?) brochure from the early to mid-1980s. Download a PDF of my original copy here. 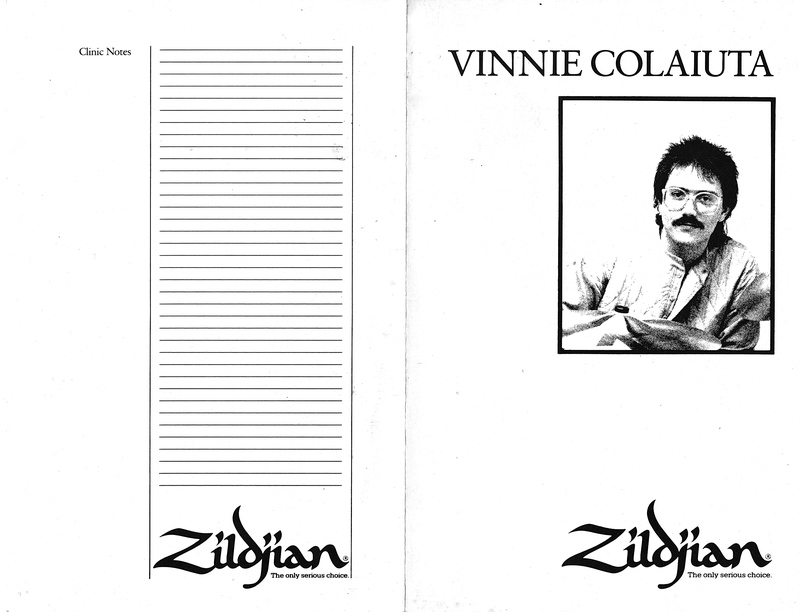 This entry was posted in SKF Blog and tagged Drummer, Scott K Fish, Vinnie Colaiuta, Zildjian. Bookmark the permalink.